After the Valentine's Day chocolate overdose, you'd think I might slow down with the chocolate and bake just a regular raisin oatmeal cookie. But I'm not in the mood for regular, and I made my go-to oatmeal cookies recipe with a hint of chocolate. Chocolate chips that is. It's interesting to see how just a small change of ingredients like that makes the cookies entirely different: adding raisins to this recipe makes them taste very hearty, and deceptfully healthy. While adding chocolate chips makes you feel like you're eating a very bad, naughty cookie that packs on the pounds as you are. But this is a baking-blog, and baking mostly involves calorie-studded goods, so I hope you don't mind me boosting about this sinfully delicious recipe! Rating: 4.5 out of 5. - Beat together margarine and sugars until creamy. Add eggs and vanilla; beat well. Add combined flour, baking soda, cinnamon and salt; mix well. 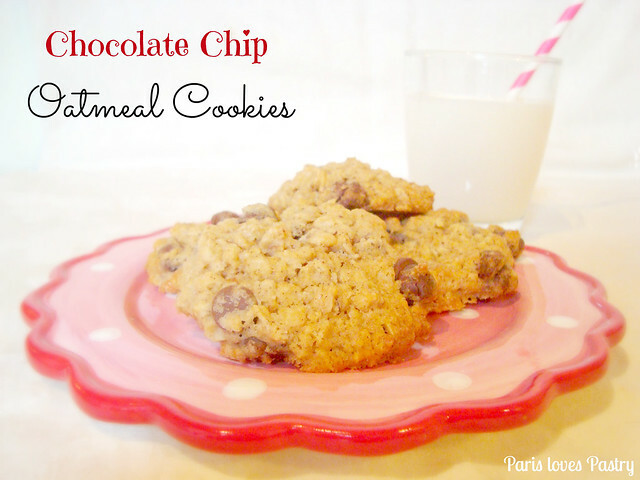 Stir in oats and chocolate chips; mix well with a spatula or wooden spoon. 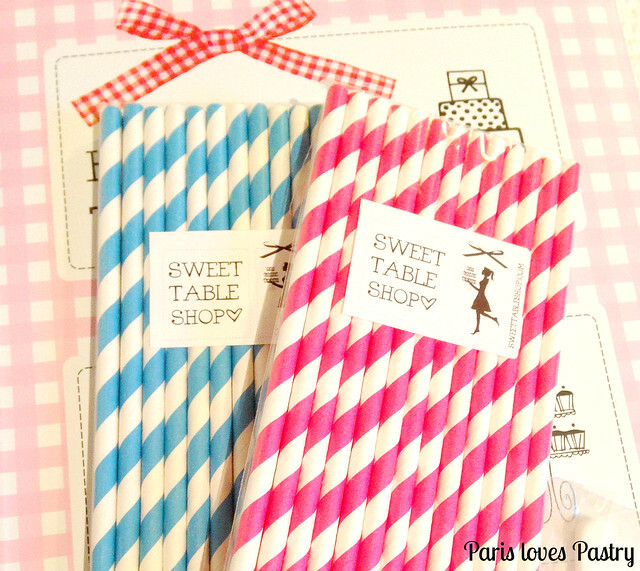 I ordered them from Sweet Table Shop, and they came in the cutest package! 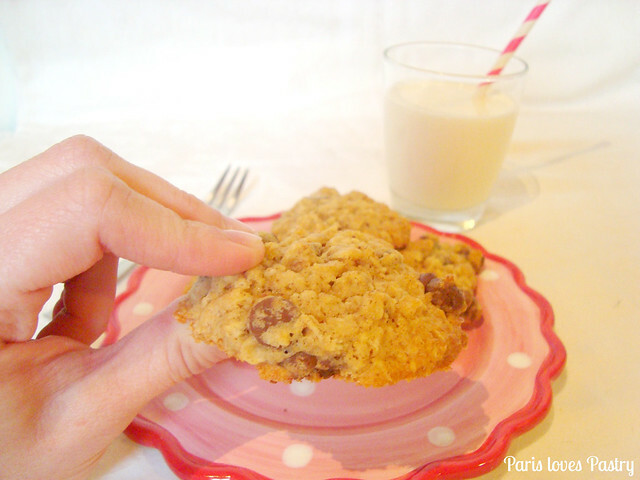 Great twist to the normal oatmeal-raisin cookies!